Barbie divided much of her time between enjoying novels and crocheting for family, friends and craft seekers alike. Barbie also enjoyed baking cookies, especially with the help of her grandson, Russell, during his visits. Barbie graduated from South Side in Hookstown, Pa., in 1980, then attended Beaver County Community College, before marrying Edward “Ed” Alan Parker in 1985. She spent a number of years with Allegheny Valley Schools before moving to Florida, but most recently worked at Little Learners Daycare after returning to Hookstown. In addition to her mother, she is survived by her husband, Edward “Ed” Alan Parker; her daughter, Cadi Potts, and her late husband Rusty, Tennessee; her son, Mason Parker and his fiancée, Melissa Perez, Florida; her brothers, Wesley A. and Robbin McLaughlin, Georgetown, and Daniel and Brenda McLaughlin, Hookstown; her pride and joy grandson, Russell Andrew Potts; as well as many other close family members and friends. She will truly be missed by all. Family and friends are welcome to attend her memorial service on Saturday, November 24, 2018, at 11 a.m. at the Hookstown Free Methodist Church. The Rev. Wilmer J. Olszewski officiating. She will be laid to rest in the Mill Creek Hill Cemetery. 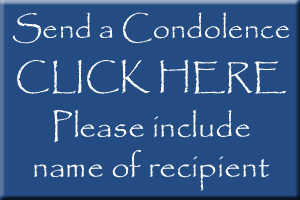 Cremation arrangements provided by the MCCONNELL FUNERAL HOME, 447 Pine St., Hookstown, PA 15050.